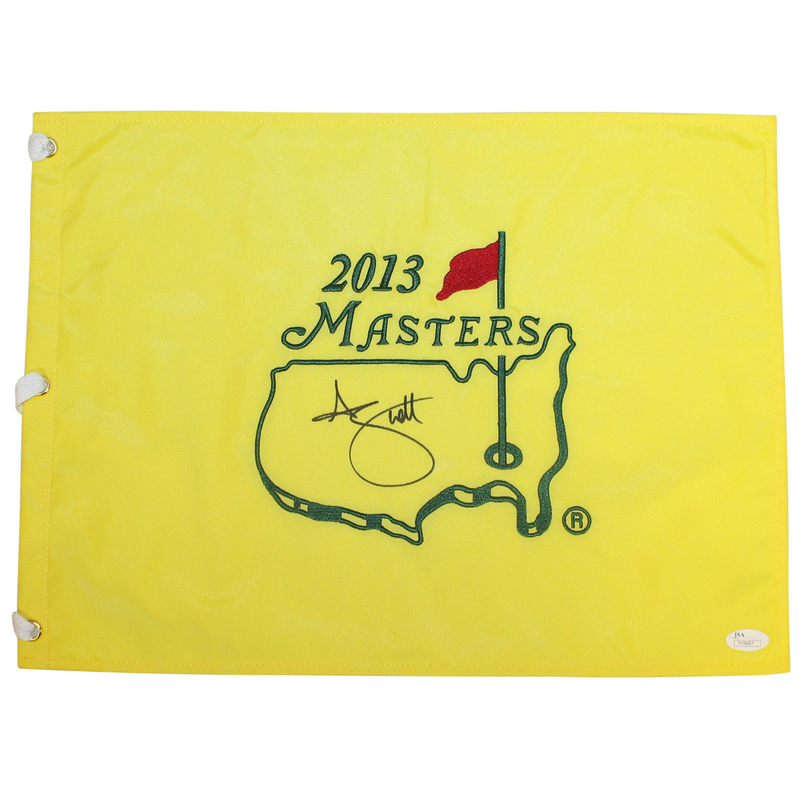 Here we have a 2013 Masters Tournament embroidered flag signed by the champion Adam Scott. 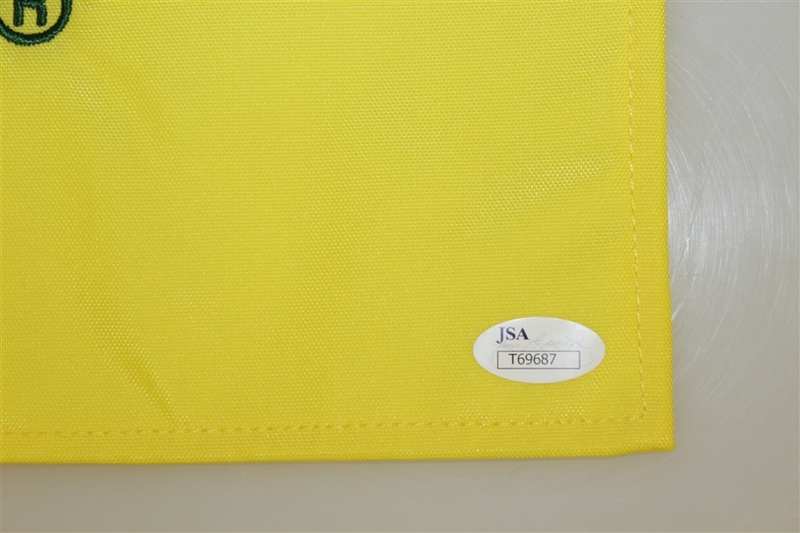 His signature comes with JSA authenticity #T69687. Adam Scott won one of the most exciting Masters in recent years. 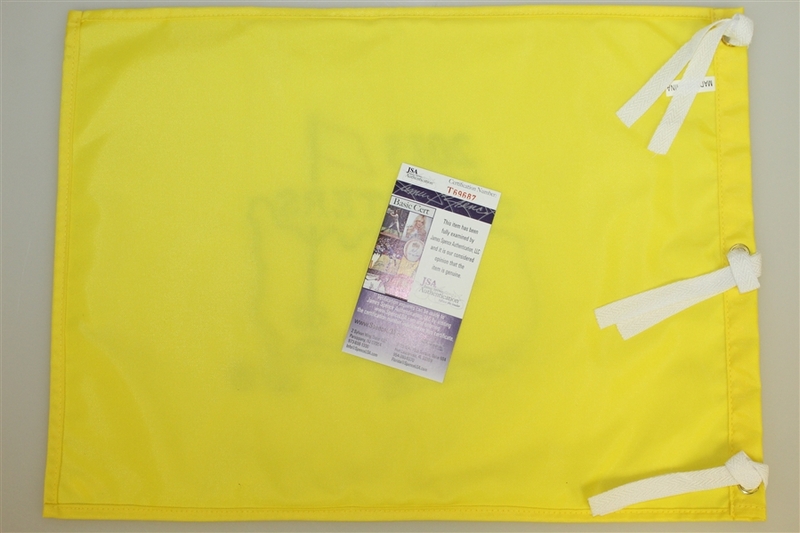 With the rain pouring down and nightfall on the horizon, Scott defeated 2009 champion Angel Cabrera in a sudden-death playoff.